FIR NW is a student-run ad agency at Portland State. I was an Art Director on multiple accounts including our self promotion account, which worked on things for our own agency. 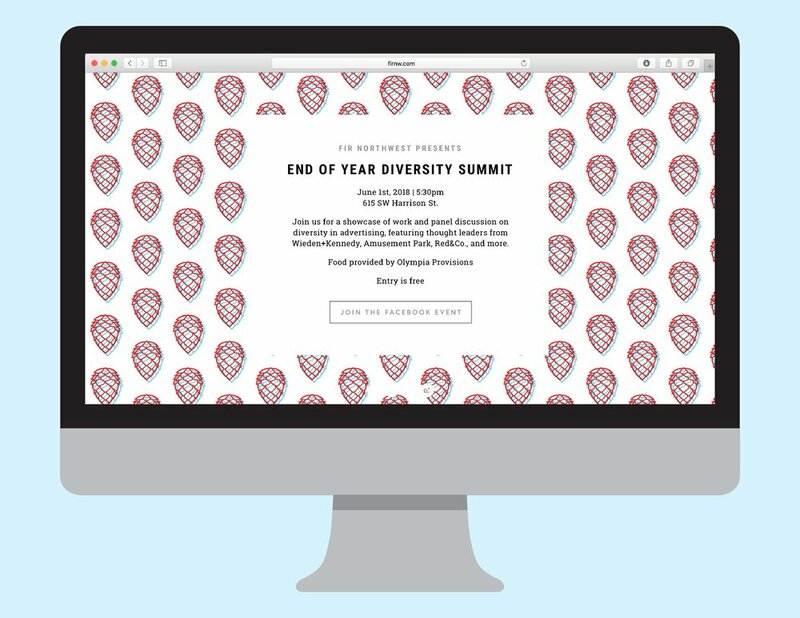 Our annual End of Year event centered around the subject of diversity in the advertising industry. My copywriter partner and I were assigned the task of creating something to have at the event that was tied to our theme. We were given free reign to be creative, while staying within a limited budget. 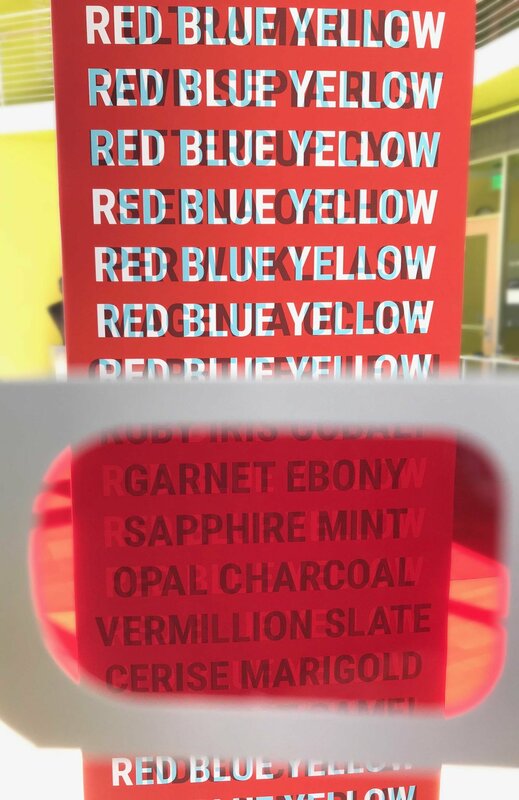 Ultimately, we created an installation using decoder glasses to show how diversity can result in different perspectives and more creative outcomes. The event featured a panel discussion by leaders from Wieden+Kennedy, Amusement Park, and Red & Co. with over 100 people in attendance. 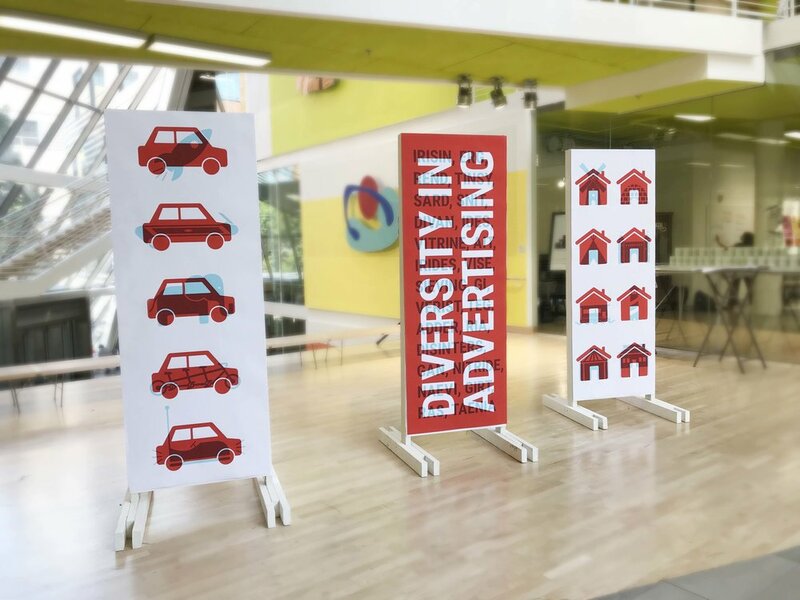 It lead me to realize that with diversity, you have more perspectives—more ideas, more creativity. I realized we should highlight how having a more diverse team—having more diverse views—can help change perspectives. I saw diversity as a tool to see things clearer, better, and to see more possibilities. I brought the idea to my partner and many concepting sessions later, the idea of an interactive installation was born, along with the idea of using decoder glasses as the “tool.” The installation showed what may be typical at first glance, but how much more there is to see when you have a new perspective. We were lucky and got a tremendous amount of help from a couple people in FIR who built the frames for the panels. I designed the 30” by 80” prints, keeping the art direction bold and simple so the idea could come across easily. The whole installation took us 8 hours to print, trim, and assemble. Another designer designed the promotional material and invitation after our concept and art direction was approved. The event was promoted on the FIR NW website as well as social media, with the Portland Advertising Federation posting about the event. 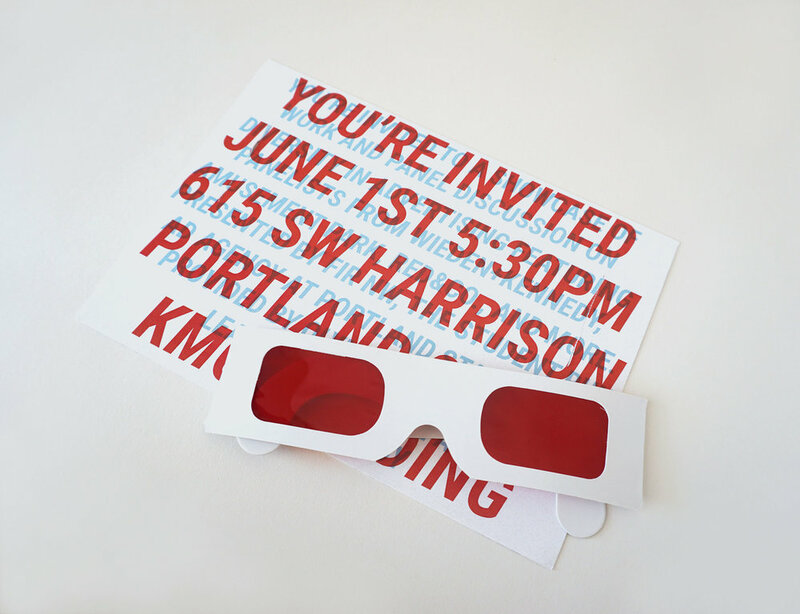 The concept was carried through the invitations as well and each came with a pair of glasses.